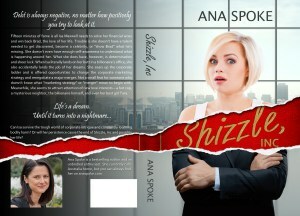 Win a free book cover custom designed by Ana Spoke! A fantastic offer of a free book cover design including the original files. A lot of you took the time to comment on the process – thank you again! Several of you have also mentioned hiring me as a designer. To be honest, I don’t want to branch into that – it’s a stressful job, takes a long time, and just thinking of taking somebody’s money and then disappointing them gives me the heebie-jeebies. So I just answered those comments with jokes. Sorry.